In 2014, the ‘new kid on the block’ for WASH sector funding was introduced through DFID’s WASH Results Programme’s Payment by Results. The fund was designed to give impetus to meet the MDG goals on WASH, found to be lagging behind in many countries. The targets were ambitious, the model risky. SNV’s Anne Mutta shares SSH4A RP’s experience in implementing PbR. The Sustainable Sanitation and Hygiene for All Results Programme (SSH4A RP) of SNV, financed by UKAID, was among the first organisations to engage in PBR programming in 2014. By end of December 2017, our four-year experience in implementing SSH4A RP in 62 districts across nine countries in Africa and Asia successfully engaged 7 million people. Independently verified results of the programme found that at least 2.7 million people have gained access to and are using new and improved sanitation facilities. Beyond meeting our pre-defined results at household level, SNV’s payment was tied to so-called ‘Sustainability Results’, measuring progress towards sustainable service delivery systems in each district. Stephen Covey says ‘begin with the end in mind’, under a PBR system this translates to having a definite goal to work towards (the results) and constantly reviewing what you are doing (process) to see if it is getting you where you want to go! Under a PBR contract, programme targets are fixed and underachievement is ‘penalised’. Because overly-optimistic targets are considered financial risks, organisations are challenged to be more realistic at the start of programme design. Building on and ‘growing’ our years of SSH4A work (developed in 2008) had helped us offer ambitious but realistic targets that can be delivered within a given time frame. Similarly, because we’ve been physically present in our SSH4A RP countries for years (for example, we’ve been present in Kenya since 1969) our knowledge base and partnership with local government and CSOs allowed us to prepare for potential risks and unforeseen events. The number of countries and districts, helped to balance out the effect of those unforeseen events, as there are many factors beyond our control, in particular affecting sustainability indicators. Although targets are fixed under DFID’s WASH Results Programme (WRP), there is flexibility in implementation: programme activities may be changed to respond to evolving contexts. A lot of time savings were realised because there was no need for us to engage in a protracted consultation process with UKAID when funds had to be shifted. The WRP’s PbR gave us more control on how things can be done and allowed us to swiftly respond to shifting needs or priorities. Our country teams – who had a better handle of the contexts they were working in – were able to adjust their interventions and search for those most suitable in supporting households to gain access to sanitation facilities. Experience and engagements on the ground guided our interventions, and facilitated actual ‘learning and doing’. PbR increased attention on the need for sound monitoring systems within project designs. A defining characteristic of the WRP is the integration of an independent third party verification process, which is conducted prior to ‘pay out’. With quality monitoring and evaluation (M&E) becoming an integral part of programme conversations, we introduced robust M&E tools, our country teams became involved in conducting household surveys, and they organised regular stakeholder review/ reflection meetings on sustainability indicators. Constantly questioning whether progress had been made, why and how things can be done better and sustainably have helped us reach optimal results. This reflection process served as the main driver behind our achievements, and the results that we all take pride in. By embracing this new working modality, and with hard work, we managed to surpass at least 95% of our SSH4A RP pre-defined targets. Without a reflective, evidence-based process of target setting and progress monitoring, it is foolhardy to imagine that we are able to get the same desired results. About the Author: Anne Mutta is multi-country programme manager of SNV’s largest Payment by Results (PbR) programme to date – a multi-million programme that is being implemented across eight countries in Africa and Nepal. Anne, based in Kenya, has 20 solid years of experience leading action-oriented and evidence-based WASH programmes. This post was originally published on the SNV website and is one of a series leading up to World Water Week 2018. Going to #WWWeek? Come to the WASH Results session on Sunday morning and find out more about the realities of Payment by Results. As the MDGs become SDGs, what progress has WASH Results made? What has the DFID WASH Results Programme achieved so far and what lies ahead for the programme in 2016? January 1st, 2016 is an important date for the DFID WASH Results Programme. The Sustainable Development Goals (SDGs) take the place of the Millennium Development Goals (MDGs) and ‘WASH Results’ moves into the second half of its funding period. At this stage the focus for the programme’s Suppliers (SAWRP, SNV and SWIFT) will start shifting from getting things done, to keeping things going and ensuring the sustainability of WASH outcomes. For e-Pact too, as the independent verifiers, it’s farewell to Outputs and hello to Outcomes. Embed from Getty Images Once the goals to provide access have been reached, attention turns to sustainability. Before we look ahead to next year, let’s take a look at what’s been achieved so far. According to the UN, 2.6 billion people gained access to improved drinking water sources between 1990 and 2015 – a key part of MDG 7. Worldwide, 2.1 billion people have gained access to improved sanitation but 2.4 billion are still using unimproved sanitation facilities, including nearly 1 billion people who are still defecating in the open. This July, DFID was able to report it had exceeded its own target of supporting 60 million people to access clean water, better sanitation or improved hygiene conditions. The reviewers gave the programme an ‘A’ overall (for the second year running) and considered it to be “on track” to meeting its targets by the end of 2015. By December 2014 the WASH Results Programme had reached 296,438 people with improved sanitation, 65,611 people with improved water supply, and over 1.25 million people with hygiene promotion. The reviewers noted that “strong independent verification systems” have been established that also allow for adjustment and improvement based on learning from previous verification rounds. WASH Results is generating significant policy knowledge around use of Payment by Results and programming for outcomes (sustainability) in the WASH sector. 9,330,144 people reached through hygiene promotion activities through DFID support. Large numbers, however impressive, don’t fully convey the effects that improvements in water, sanitation and hygiene are having on people’s lives. The Suppliers have been collecting stories of change from some of the people on the ground who are closely involved in delivering the WASH Results Programme or directly benefitting from its work. You can read about 70 year old subsistence farmer Maria and mother-of-five, Jacinta, in a recent DFID blog post. The SWIFT consortium’s website is also packed with news and images from their involvement in the WASH Results Programme. 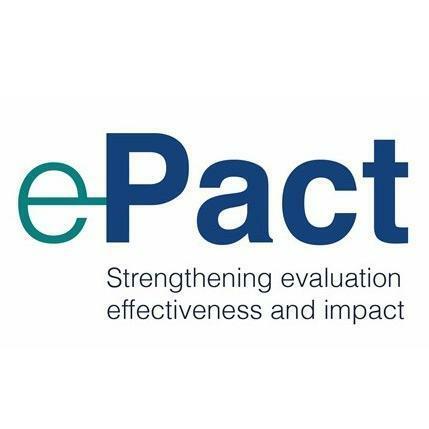 From 2016 onwards, e-Pact starts answering a critical question for DFID: how many poor people continue to use improved water and sanitation facilities and are practising improved hygiene because of the WASH Results Programme? Right now we’re exploring how best to monitor, report on and verify these outcomes and look forward to sharing what we learn, with you. As always, if you have any ideas or observations about this topic, we encourage you to Leave A Reply (below), or email us. How do you make Payment by Results work in Water, Sanitation & Hygiene (WASH)? The e-Pact Consortium is finding out through Verifying and Evaluating DFID's WASH Results Programme. But we're not waiting until 2018, when the programme ends, to pass on what we've discovered to other suppliers, donors and verifiers about how this relatively new funding mechanism works in the WASH sector. Throughout the programme we'll be writing about our experience of being Independent Verifiers, sharing emerging findings from our Evaluation team, highlighting lessons learned by the Suppliers, and taking a look at what other people are saying about Payment by Results. We encourage you to share your lessons and ideas on this topic by making a comment on one of our posts or sending us an email. Beyond a burden: what value does verification offer? This blog is an output from a programme that has been funded by UK aid from the UK government; however the views expressed do not necessarily reflect the UK government’s official policies or those of the programme's partners.